Sometimes it takes a change in latitude for a change in attitude. I wanted sun and sea. 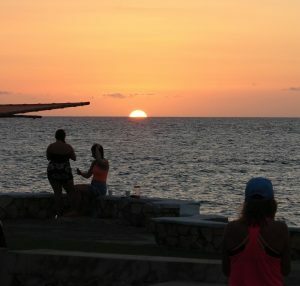 We are lucky the Caribbean is so close with many destinations to choose from. 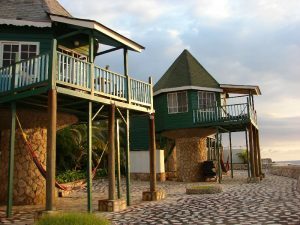 Santo Domingo and Jamaica usually offer the best value. I had frequent flyer miles on United and the best deal was to Jamaica. The next decision was where to stay. I wanted some place small, quiet and on the water. 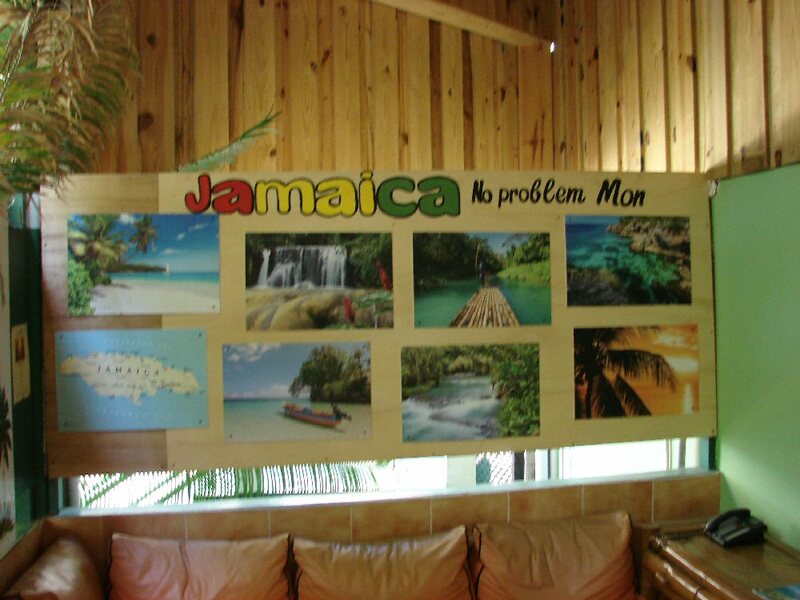 Jamaica seemed to offer a variety of options. 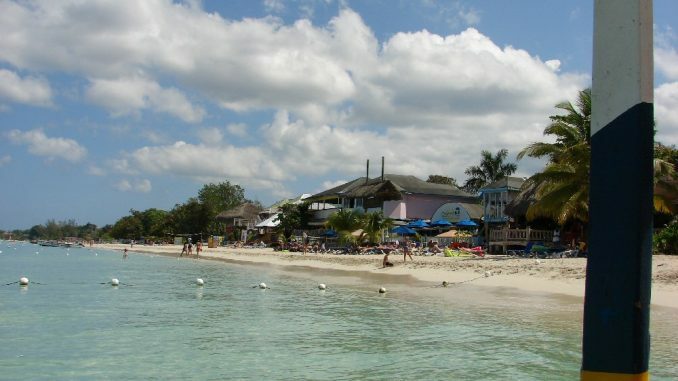 John and I had been to Montego Bay so I decided on Negril. I did not realize it was a two-hour ride from the Montego Bay airport to Negri. I did not want an all-inclusive or someplace expensive. 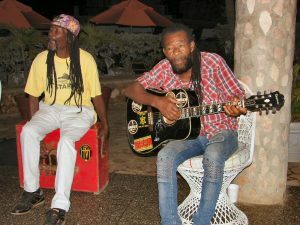 A search for three-star hotels on the beach brought up Legends on Seven Mile Beach. Sounded great, but they did not have availability for the days I was interested in and suggested their sister hotel Samsara Cliff Resort. It wasn’t on a beach but it was on the cliff overlooking the water. What sold me was the fact that they said it was quieter than the hotels on Seven Mile Beach. On the drive from the airport to the hotel the driver was full of helpful information so it didn’t seem so long. Samsara had several types of rooms to choose from. While the garden rooms looked interesting they were across the street. The Pillar House Bungalows had great views with an outdoor shower and looked very romantic; I picked the Superior Ocean Front Room which was perfect for me. However, I did not read the small print – the reasonable price was per person but I was charged as if there were two people. Samsara passed on their all-inclusive option. Considering the time of the year and location the rate I paid was not unreasonable. Samsara is located on a cliff with steps down to the water but many of the guests enjoyed jumping from the cliffs while others raved about the snorkeling. I fear I did neither but enjoyed watching them. I, however, did enjoy their pool. There was never any problem getting a lounge plus there were many along the cliff which seemed to be the most popular. The hotel offered a free shuttle daily to Legends, their beach hotel. 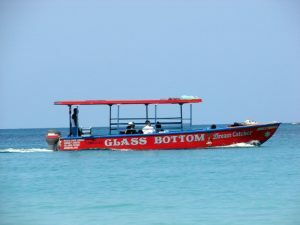 I booked a glass bottom boat tour which left from Legends. 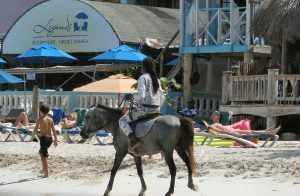 The tour was uninspiring but I knew it would be – it was reasonable and gave me an opportunity to check out Legends and other properties along Seven Mile Beach. I was very happy that I was at Samsara. 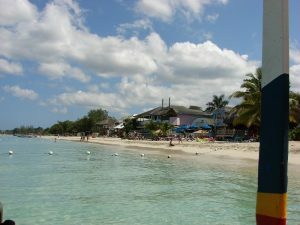 Seven Mile Beach was crowded with no free lounges available and, for me, too many people. I was also told that the area is more of a party area. The Samsara staff and other guests were friendly. It was not a party destination but those who were looking for night-time fun could find it nearby. 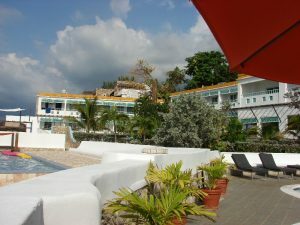 I enjoyed swimming in the pool and having several spa treatments. I especially enjoyed foot reflexology in the open air spa with views of the water. There were a variety of tours offered but I passed – maybe next time. I relished the time in the sun and pool, the quiet time to read my books, and enjoyed the live music on Sunday. 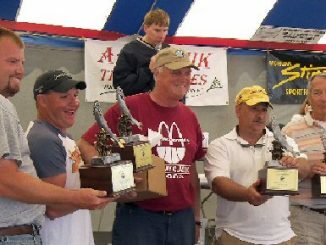 I may return next year but for two weeks. I wasn’t ready to come home.